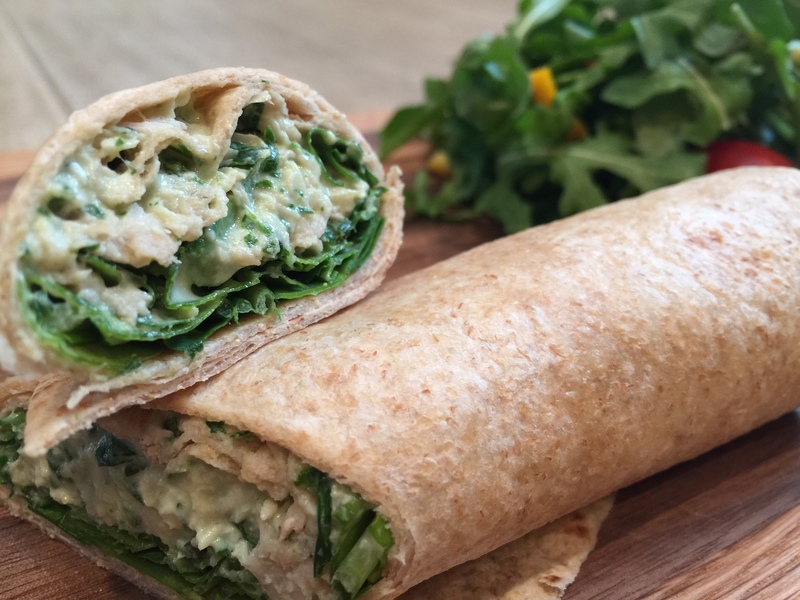 A twist on Giada DeLaurentiis’s Rolled Chicken Sandwich, this FitFoodie version incorporates additional greens and subs out mayonnaise for greek yogurt. Paired with a simple arugula salad, this meal is a perfect fit for your first lunch of the spring season. Pulse aioli ingredients in a food processor for about 1 minute until mixture is smooth. Mix aioli with shredded chicken until thoroughly incorporated. Heat tortilla over stovetop in cast-iron skillet. Place tortilla on a work surface. Beginning with dry ingredients to avoid sogginess, add a line of arugula, followed by 3-4 tablespoons of chicken mixture. Finish off with 1/2 teaspoon lemon zest and and a dash of fresh cracked pepper. Roll into a wrap & enjoy. Place olive oil, lemon juice & zest, sea salt, and fresh cracked pepper in mason jar. Shake for about 30 seconds until oil & lemon is incorporated. Add arugula and tomatoes into serving bowl. Add and incorporate dressing and top with shaved parmesan cheese.